I really like and I always found interesting all the new things that I can learn about the Maori’s culture. I think this happened due to my passion for rugby and after the first time I saw the legendary New Zealand National Rugby Team (aka All Blacks) playing on TV. With this post, and maybe someone else. I’d like to share what I discovered surfing the net about this amazing culture, focusing on the picture and tatoo part. The picture that I hereby published is one of the various and famous warrior mask that you can find around. 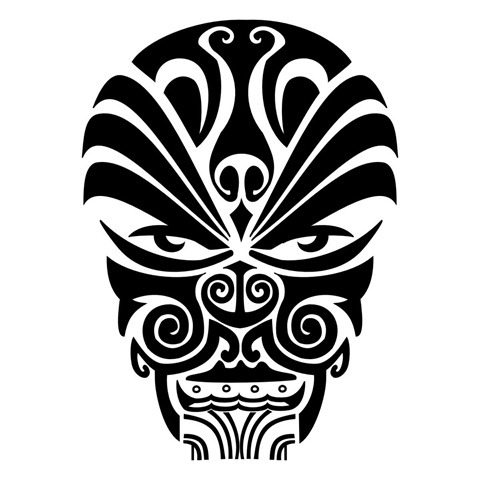 The face of the Maori warrior, or his mask, or Moko, is like an identification of the warrior and every patter have a particular meaning, showing the warrior great deeds, his courage, his ancestors and tradition, this is the reason (or at least one of the most important) cause is quite impossible to find two masks that are exactly the same. This means also, that is not so good to copy a whole mask from someone else, cause is like you’re stealing his identity. So, if you want to make your own mask, you can copy a part and mesh it up with other parts taken from some other pics, or you can use some typical pattern that doesn’t belong to any particular clan and then resemble all together. Firefox vs. IE: the web-development never-ending war.. But this time, maybe, we have a winner: the Developer. Reading this post it really seems like the efforts in Microsoft and Mozilla to enhance their web browser, with the help of the community too, reached a very nice achievement: they, both, made a tool that can be helpful in the daily life of a web developer. The other browser? Uhm, maybe the same with some little lacks. Instead of opening a page with your translator, you can directly ask the Bing search engine to translate the words for you. This is very nice and useful feature that can speed up your surfing experience. Check it out at the MS Translator official Team blog page. I found a very interesting blog post in which the author collect a series of posts and data about how the .Net Entity Framework Designer use the public API in the System.Data.Entity.Design assembly. I think it’s useful to stick it also here.